Instead of tossing your salad, why not display it in a nice rustic way on a wooden board, and let everyone help themselves? The zingy taste of Pronto Mama Salad Splash just finishes off your rustic salad perfectly. Wash and prepare all the salad ingredients. Heat the olive oil in a large frying pan and panfry the ciabatta pieces until golden and crispy. Season well with salt and pepper. 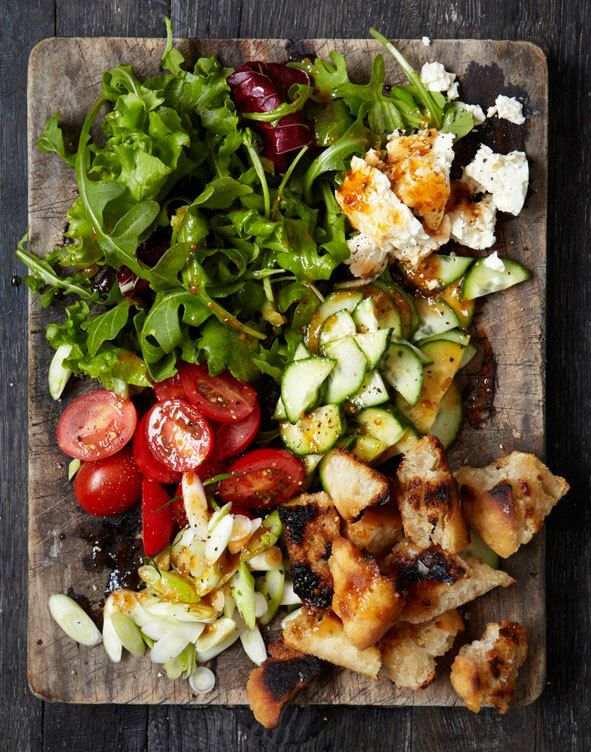 Place all the salad ingredients on a large board and dress with Pronto Mama Salad Splash just before serving. Allow everyone to dish their own salad off the serving board.